Entrepreneurship can fix young America; get more out of your SEO; trademark infringement. 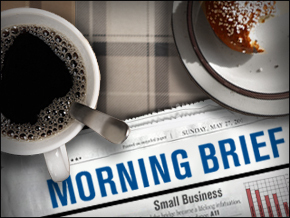 NEW YORK ( MainStreet) -- What's happening in small business today? 1. Entrepreneurship is proposed as the solution to young America's job woes. Youth employment is at a startling 60-year low and student loan debt is approaching $1 trillion, says Scott Gerber, founder of the Young Entrepreneur Council, an organization dedicated to mentoring young entrepreneurs and providing them with tools and resources. Despite the terrible job market for young Americans, the group is surprisingly optimistic about entrepreneurship, Gerber writes in a contributed piece to Time. "So why are so few pundits and politicians building on that entrepreneurial energy as a solution to joblessness and economic malaise? The fact is, it's high time we funneled our collective energy toward rebuilding an entrepreneurial America," he writes. Gerber suggests a few strategies to accelerate the entrepreneurship movement, including: more integration of real world resources on college campuses, the elimination of partisan government barriers, more leaders teaming with entrepreneurship resources and organizations to provide mentoring, prioritizing technology education and fostering entrepreneurship at the local level. 2. You can get more from your SEO. Small-business owners never have enough time in the day to get all they need accomplished, and what Web-savvy business owner doesn't wish they could get more from their site's SEO? For those hard-pressed entrepreneurs, Google ( GOOG - Get Report) is hosting a series of webinars this month to share best practices across a variety of topics such as paid search, mobile ads, display ads, YouTube and Google Analytics, Small Business Trends says. 3. A lawyer is explaining trademark infringement. Franchise and trademark lawyer Jeff Fabian used his blog to post an excerpt from an article he wrote for FranchiseHelp.com about trademark infringement, an area that should be of high importance for a small business. Fabian says that if a competitor were to start using a trademark that interferes with your exclusivity of your own trademark it could have significant detrimental effects to a business. "The basic test for trademark infringement is whether someone else is using a trademark that creates a 'likelihood of confusion' amongst consumers in the relevant marketplace," Fabian writes. Remember: Trademark infringement can take several forms and does not have to involve an exact copy to be a violation, Fabian writes. He also notes that "intent is irrelevant," meaning that "someone can infringe on your trademark rights even if they don't know that you exist, but willful infringement might cost the infringer extra." Written by Laurie Kulikowski in New York.